Following an order from the Right to Information Commission (RTIC) during the hearing of the RTI appeal filed by the Airline Pilots’ Guild of Sri Lanka (APGSL), SriLankan Airlines disclosed its top management’s salaries and the cost of personal flying training, borne by the company for its former CEO Suren Ratwatte. RTIC Chaired by Mahinda Gammanpila on June 12 ruled that the SriLankan should divulge information connected to the top management’s salaries and the cost of flying training met by the company on behalf of its former CEO. Accordingly, the monthly basic salary of the SriLankan CEO is LKR 3, 270,000 excluding other benefits. Additional benefits enjoyed by the CEO include company maintained vehicle and driver, actual fuel cost, reimbursement of one annual club membership, same of one annual job related professional membership, Medi-call system with an annual limit of LKR 5000 for himself and per family member and staff travel benefits. The cost of personal flying training for the A320 jet conversion borne by the company on behalf of its former CEO Suren Ratwatte is in total LKR 3,700,000 for a 14 days training (1st Phase – Ground School – LKR (350,000) and a 12 days training (2nd Phase – Simulator – LKR 3,400,000). The Chief Commercial Officer (CCO) of the SriLankan receives a basic salary of LKR 1, 900,000 per month and an allowance of LKR 250,000 for furnished accommodation per month. The CCO of the Sri Lankan is also entitled to the same additional benefits enjoyed by the CEO. Meanwhile, the monthly basic salary of the Head of Human Resources (HHR) of the SriLankan Airlines is LKR 990,000 with two additional allowances of LKR 12,000 and LKR 3,500 as ‘Entertainment Allowance’ and Telephone Allowance respectively. The HHR is also entitled with fuel allocation of 340 litres of petrol per month by the company, company maintained vehicle and driver, reimbursement of one annual club membership, same of one annual job related professional membership, medi-call system with an annual limit of LKR 5000 for himself and per family member and staff travel benefits. The RTI application was first filed to the SriLankan under the RTI Act in June 2017 by the Airline Pilots’ Guild of Sri Lanka (APGSL). The Information Officer of the SriLankan rejected the application. Then, the APGSL appealed for the Designated Officer of the SriLankan, where the request was again rejected, making the appellant to finally make an appeal before the RTI Commission. During the hearing of the appeal, SriLankan’s preliminary objection was that it was not a company under the Companies Act No. 7 of 2007 and, therefore, not a public authority as defined in the RTI Act. However, the SriLankan failed to prove its the preliminary objection before the RTI Commission, which made it to release the information to the public domain. Captain Ruwan Vithanage, Captain Malik Latheef and S.M. Kankanamge from the APGSL represented as the appellant party. 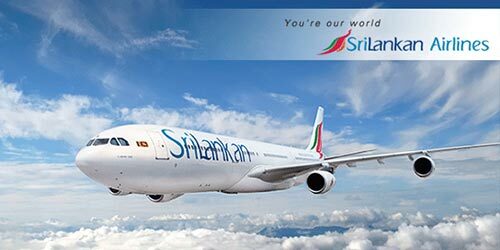 Head of Group, Legal, Sri Lankan Airlines M.A. Ranasinghe and Manager of Group Legal Affairs, Sri Lankan Airlines Shiyara Sellamuttu represented the public authority. The Information Officer of the SriLankan Airlines rejected the application. Then, the APGSL appealed for the Designated Officer of the SriLankan Airlines, where the request was again rejected, making the appellant to finally make an appeal before the RTI Commission. During the hearing of the appeal, SriLankan’s Airlines preliminary objection was that it was not a company under the Companies Act No. 7 of 2007 and, therefore, not a public authority as defined in the RTI Act. However, the Airlines failed to prove its the preliminary objection before the RTI Commission, which made it to release the information to the public domain.